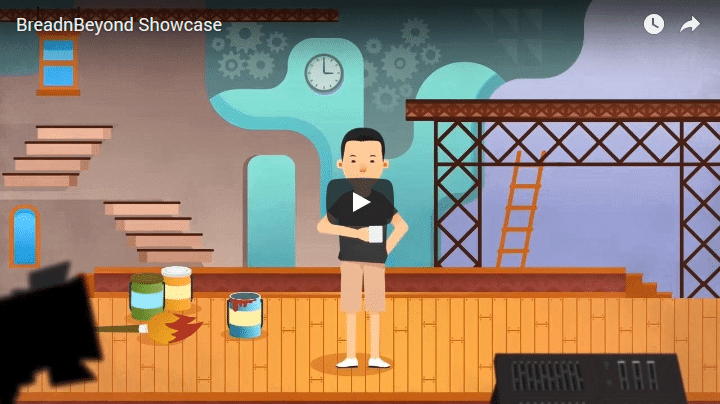 Does your company need an explainer video? Just in case you haven’t been introduced to it: An explainer video is a short online marketing video used to explain a product or service so that it’s easier to grasp. The concept behind an explainer video is communicating an idea behind a company to its target audience in a quick and informative way. That is why explainer videos work very well for companies that offer niche or one-of-a-kind product or service like Pinterest or SnapChat, which offer a service that may be difficult to understand otherwise. Contrary to the popular belief that every company needs an explainer video, some types of companies will be better off spending their resources on things like awareness campaigns or social media advertising. Creating an explainer video is NOT always costly, but explainer video production process can take weeks. What factors should you consider to know whether your company can get the most out of an explainer video? Let’s dive right in. The type of industry you are operating in is a fundamental factor to decide whether or not you should make an explainer video. Let’s use the clothing industry as an example. Do you think your target audience needs an explainer video for a leather jacket or a waterproof parka? You surely wouldn’t think so. You would be better off spending time and resources on targeted social media ads to reach the right target audience for your clothing line. However, if your company sells – let’s say a wearable tech in the form of a jacket, you’d be able to get the most out of an an explainer video to tell people what your products can be used for and why it would benefit them. What is Your Main Marketing Channel? Explainer videos are a form of digital content. They are most useful when you use them on online platforms such as website or social media. If your company is a slow adopter when it comes to technology, you may want to hold off creating an explainer video. Invest your budget in building the best website and creating social media accounts for your brand. If your company already has a updated website and social media presence, you definitely should invest in an explainer video. Explainer videos are a powerful marketing tool to hook your audience and engage them online. The best part is: you can use and reuse an explainer video in virtually any popular online marketing platforms these days. You want to share your explainer to Facebook? Sure can, so long as it’s under 60 seconds. There are many other factors that you should consider before deciding to make an explainer video for your company. This infographic contains everything you need to know about whether or not your company really needs an explainer video. https://connect4consulting.com/wp-content/uploads/2017/12/Screenshot-2017-12-8-Breadnbeyond.png 404 720 Gabriel Seiden https://connect4consulting.com/wp-content/uploads/2013/04/Connect4Consulting_LO_FF_transparent1.png Gabriel Seiden2017-12-08 15:09:442017-12-08 15:33:19Does your company need an explainer video?